RealityShifters | What Lights You Up? Cynthia Sue Larson’s book, Reality Shifts, is now available in audiobook format! "You have to find what sparks a light in you, so that you in your own way can illuminate the world." My neighborhood is full of interesting people from many different cultures who show me there are dozens of ways to walk through life. Most every day I see a middle-aged man who walks apologetically behind his tiny Yorkshire terrier, “Booger,” who yips and snarls ferociously at everyone they meet. Sometimes I see a long haired young man riding his bicycle with a Rottweiler trotting alongside. Some neighbors walk with purposeful strides assisted by skillful placement of their Nordic walking poles, looking like they’re in training for cross country skiing, and getting in some summertime dry season training. Many children roll by with a joyful noise atop their skateboards and scooters. New parents stroll side-by-side in their own private world of reverent intimacy, young infants snuggled close to their chests in body wrap carriers. Determined senior citizens cruise steadily along with their walkers, making each new step their prize. What each and every one of these people share with the world is their own unique way of finding enjoyment in something as simple as going for a walk. When we realize that who we are shows up in everything we do, from how we walk, how we dress, and the way we greet friends and strangers, we can pay a bit more attention to what puts a little extra spring in our steps when we take a walk. What’s your favorite way to take a walk? Chances are that even if you don’t give this subject much thought, you make the world a brighter place every time you step outside your front door in a positive mood. How you do what you do is a natural expression of who you are, and with each step you take you’re showing the world what lights you up. 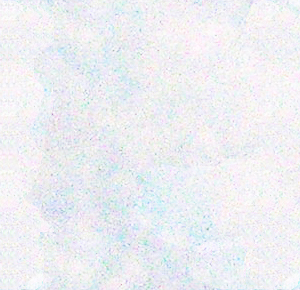 As I describe in my book, Aura Advantage, this isn’t just a meaningless expression, since levels of light in a room can be measured to increase when someone enters a previously empty room, and in one case, the light level decreased when an exhausted person full of despair entered the room. Join in what’s sure to be a fascinating conversation between Cynthia and radio show hosts Mark and Jeff who are New England’s premiere paranormal investigating team based in Salem, Massachusetts. Have you noticed items move around as if by themselves, or gone missing altogether? You’ll likely hear some truly amazing first-hand accounts of such reality shifts and quantum jumps on this show! Dr. Lorraine Hurley interviews Cynthia Sue Larson, talking about how much more common reality shifts and quantum jumps are than most people realize. If you've ever lost a sock from your washing machine, or noticed objects disappearing and reappearing, you've very possibly experienced the many worlds some scientists say exist in this holographic multiverse. With implications for improving your quality of health, enjoyment of life, and relationships this is one show you won't want to miss! 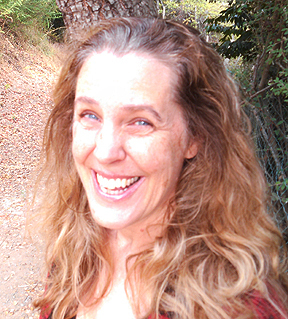 Cynthia Sue Larson presents a radical new paradigm: that we exist in an interconnected holographic multiverse in which we literally jump from one parallel universe to another. At the dawn of this new Quantum Revolution, a majority of physicists surveyed assert that you and I and every physical thing exists in a superposition of states, meaning there are many possible you's! 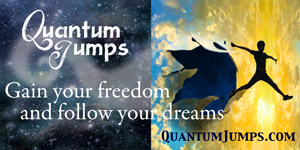 The premise of quantum jumps is that it's possible for you to make jump to a reality you will enjoy. Recent studies in psychology, biology, and physics show positive results for those who 'fake it 'til they make it.' In a moment you can become smarter, more confident, happier, more outgoing, more effective, in better relationships, with more willpower. Explore what quantum jumps are, who experiences them, how often they happen, and how to experience the most enjoyable quantum jumps in your life. Learn what it means to live in a “superposition of states” and why some people are better at experiencing jumps than others, and how to master the steps required to make quantum jumps in your life. Learn simple, fast, inexpensive ways you can immediately become measurably smarter, more confident, happier, in better relationships with more willpower. Want to know just how good your life can get? This is one workshop you won't want to miss! Cynthia Sue Larson talks with Robert Sharpe about her best-selling book, "Quantum Jumps," and the way reality literally shifts as we quantum jump between parallel worlds. Cynthia shares life-changing, game-changing information that can improve your life, based on her research and investigations into the way consciousness changes the physical world. Cynthia Sue Larson talks with Brian & Sherri about her best-selling book, "Quantum Jumps," and the way reality literally shifts as we quantum jump between parallel worlds. The twenty-first century will be remembered as the era in which quantum physics, biology, and consciousness started shaking hands. We now know that 'quantum' is no longer limited to the invisible, subatomic realm, but involves our everyday world and our own mind. Did you know there's something people can do that has the effect of increasing their life span by 7.5 years? Cynthia Sue Larson shares research from Dr. Becca Levy at Yale University, who's team has conducted studies that show peoples subconsciously adopted "age stereotypes" make a tremendous difference as we age. Dr. Becca Levy is a pioneer in the field of age stereotypes and aging who studied a database of 600 people who'd been tracked over a period of 23 years, from 1975 to 1998, to see how their age stereotypes affected their lives. What she found is that participants who had positive age stereotypes lived an average of 7.5 years longer than those with negative stereotypes, and this longevity gap persisted even after variables of age, gender, socioeconomic status, loneliness and functional health were considered as covariates. What this means for us is that when we are more mindful of the "little things" related to our stereotypes about aging, we have an opportunity to be more positive. We can change internal negative stereotypes about the elderly and enjoy the benefits of both longer life, and also better resiliency from disability. Another study conducted by Dr. Becca Levy's team showed that seniors with positive biases toward aging were 44% more likely to fully recover from bouts with disability--better able to bathe, dress, and walk than those with negative aging stereotypes. Saw your article in New Connexion ("The Science of Quantum Jumps"). So many things you talk about on your website are what I think about all the time. I have vivid memories of things that did not occur in this universe or time frame, including going to New York from Michigan on a retreat in 1967, and being pointed out where Woodstock took place, though in this reality it was 1969. I would like to say that the universe responds rather well to my moping and fulfills what I am moping about very quickly. Looking forward to reading your books. Note from Cynthia: Thanks so much for writing to me, and for sharing some of your experiences with having vivid memories of things that don't match current historical records, such as having seen where Woodstock took place back in 1967, when according to current historical evidence, that famous concert took place in 1969. Such a seemingly small thing as being off by a couple of years can sometimes be accepted by people as "I just must be remembering things badly," but it sounds to me like you are pretty clear on exactly what year it was when you took your trip from Michigan to New York. Yes, the universe response very well to our thoughts and feelings, indeed! I had an interesting experience. Twice I've had my Saint Christopher medal disappear, only to reappear about a day later. It happened about two years ago and then again about two weeks ago. This medal is very special to me because my college friend, Linda, gave it to me in 1968 just before I left to live and work in Germany. It has the date and both our initials on it. I do feel protected so I carry in my purse all the time, that's why I was so upset when it disappeared. I do love to travel and we are planning a big trip to the East Coast in October. When I was living in California, I had a miracle happen on the freeway. It was about 11am when I entered Hwy 80 which has four lanes of traffic. My wheels started spinning because there was a tire defect which I didn't find out about until the first rainfall. My car turned 180 degrees and there were no cars around me when that happened, which is amazing at that time of day on 80. Soon there was traffic all around me but I was able to pull over when I had a chance. They went around me until I found a break. I'm sure my medal was with me because I always carried it with me. Thanks or all the information. It's fun to keep learning and progressing. Note from Cynthia: How very interesting that your St. Christopher medal is on the move! Since he is the patron saint for safety when traveling, and since he is teleporting himself recently, have you considered you're getting a nudge that it's a good time for you to consider traveling? I get the feeling this may be an indication to do some traveling, and hopefully your medal will stay with you when you do! Another thing to consider is what was going on around the times the medal has briefly gone missing and then returned. Sometimes these now-you-see-it, now-you-don't types of disappearing/reappearing reality shifts are primarily excellent for helping us realize such shifts are happening regularly in our lives. Hi Cynthia. Thanks for the monthly booster newsletter. Recently I went walking with my doggie around state lake. I fell into dream state in one area, where the year before I had an experience. The first experience was riding bicycle on dirt road around Kansas lake. After riding through an area, I realized I had a flashback to a Civil War memory when I was walking along abroad alone with my rifle on a summer day. Last weekend, I walked the area with my dog. I noticed my mind had shifted to an altered state. It was pleasant and almost shocking. I tried to figure out what happened by observing my mind, and couldn't quite get it back to memory, but it was definitely a sudden reality shift. It was somehow relief, and satisfaction, and a blessing. I was experiencing some interesting information in a complex format, but I lost the memory. At the time I experienced it, I was stunned, and it brought me out of the state a little. Later on I remembered the bike ride, and realized it was at the same place and the area was what may be called a vortex. A good one. I've found some bad ones too. There is adjoining private property there and it's for sale! Lots of beautiful acres of trees and a stream and pasture. For lots of money. So I'm playing the lottery and dreaming of waking up in $$$ reality. Last sentence meant to be funny. What else would you do? Funny but true. That's all. Note from Cynthia: Thanks so much for sharing how you had a flashback to a Civil War memory while walking around the lake. I'm so glad to hear that your insight, though shocking, felt like a relief somehow, and I can certainly appreciate how you wondered why such an intuitive glimpse of a time from the past would come through as it did, when it did. Sometimes people in meditative states more readily experience spontaneous insights regarding information from other places, people and times, and some places are definitely more conducive to achieving such altered states of consciousness. I'm in need of a book that will give me a clear view of the world and myself,since finishing my high-school years my intellectual capacity is questionable well by me at least..which book can I read? I have some questions or "wondering" about reality. Is it possible that a persons individual reality can become a loop or a repeated pattern while some other people go on an live a reality that does not repeat itself? Yes i have noticed that mostly bad things tend to repeat themselves. Personal situations. Events in the news and so on. Very seldom if never something unexpected good or beneficial happens. I have anxiety and are unemployed. I do not leave the house unless with a trusted friend. I wonder, could "negative" traits such as these be like computer virus or a attractor for maintaining a reality loop which I cannot escape or change unless I somehow challenge my anxiety more? The big one could be that i have a great fear of making a mistake or do something that looks stupid. I was also bullied so that too may have caused my reality to become looped. At least i am conscious about a lot of things that people blissfully ignores and i do manage to avoid making some mistakes because of my "pre-caution" you might call it. I do not know if this awareness will help or compensate me later for my difficulties in life. Spiritual evolution takes a long time. Maybe a whole life for some. Maybe several lifetimes for others. And could our "dense" reality be a very tough school for emotional souls or entities? Any guidance is appreciated. Thanks so much for writing to me with your questions. Yes, it is possible that a persons individual reality can become a loop or a repeated pattern while some other people go on an live a reality that does not repeat itself. I've seen small such loops of repeating events transpiring over a short period of time of just a few minutes, in which some people noticed that a loop of repeating events was occurring, and others did not. The most memorable times I've witnessed such loops of repeating events, the events I saw were not emotionally charged so much as simple things, such as a woman handing out business cards and introducing herself to someone she'd just met in one case, and a woman entering a hotel lobby exactly from the same parking lot door wearing exactly the same outfit and walking past me and those I was talking to exactly the same way just a few minutes after she'd done that all before. Fear and anxiety could be contributing to your experiencing negative reality loops, so I'd advise raising your level of positive, relaxed energy through meditation. If you don't currently meditate, you can listen to a meditation CD such as my Aura Healing Meditations CD that is designed to give you an energetic boost while keeping you grounded (to help prevent bad things from happening). Our reality here does feel dense, and does feel like a school, in the sense that we have ample opportunities to try things out, see what kind of results we get, make whatever changes we wish to employ, and see how things turn out better, hopefully, when we focus on being more kind, compassionate, and loving, and less fearful and anxious. I'm interested in what you have to say. Many of the things that you mention in your videos, happen to me daily. Sometimes I am paying attention and I say oh wow that was one. What I don't understand is ok, there are multiverses all around but is it my consciousness that shifts? And do I have control or can I get control over this energy. So far it is just odd times and odd things that happen. Don't get me wrong, I enjoy being surprised but I would also like to have some control. Is this possible? Thank you for writing to me, and for letting me know that you frequently see evidence of reality shifts and quantum jumps! To answer your first question, yes, it is your consciousness that moves between parallel possible realities. With regard to your second question, most humans at this point are primarily moving between parallel realities subconsciously. Our sensory systems (smell, sight, touch taste) operate based on quantum principles such as coherence, entanglement, teleportation and superposition of states, yet we are not consciously aware of the super-fast decisions being made on the subconscious level. In order to optimize our quantum jumping and reality shifting abilities, we thus need to come into a greater state of internal coherence, which we can do through practicing meditative techniques. Amy Lansky is a most unusual ex-NASA scientist, in that she sought answers to explain how homeopathy could be such an effective system for treating her family's health concerns. As a concerned mother, Lansky put the well-being of her children ahead of cynical cries of "Woo-woo!" and discovered, much to her surprise, some extraordinary healing powers of homeopathy. I love how Lansky cites fascinating studies conducted by homeopathic researchers that associate the ways symptoms of a patient's physical disease often reflects or symbolizes the nature of their psychological issues, or as she puts it, "Thus it may be no accident when emotional irritation leads to a 'pain in the neck,' or being 'pissed off' leads to kidney problems." Active Consciousness does an excellent job of illustrating the ways expanded dimensionality of consciousness might be expected to interact with our 3D conceptualization of the world. In short, higher-dimensional levels of consciousness would be able to easily see connections hidden to us, by virtue of our world being as transparent to them as a 2D world is to us. A resident of such a "Flatland" would be amazed that we could instantly see everything and everyone in that world, which for us is as easy to view as looking at a map. When we recognize that higher levels of order contain more information than we ordinarily consider accessible, we have the means by which we can use consciousness actively. Lansky provides numerous examples of ways we can do this, whether through something akin to homeopathic treatments, or through meditation and visualization exercises she provides throughout this book. As Lansky explains, once we achieve a state of genuine, authentic, deep communication with others, true connection can occur. We also can thus experience who we really and truly are. I especially love the way Lansky includes lots of fun illustrations alongside some of the key points she's making in her book, so you can gain a better idea of how, for example, you can hold in mind a possible future as long as it is possible, and through the process of active consciousness, help ensure that more enjoyable possible future is attained. Packed with numerous exercises, Active Consciousness makes an excellent guidebook for taking your consciousness to the next level. Highly recommended! Andrew Cusick takes readers on a tour of the world, savoring the ups, downs, and oddities of experiencing his WWOOFing (World Wide Opportunities on Organic Farms) and youth hostel adventures through Australia, New Zealand, Fiji, and Los Angeles. What makes this young man's journal so riveting for me is the unique way he weaves nitty-gritty personal experiences into and around global issues that can so often feel overwhelming. Cusick's twenty months of traveling the world combined with the keen acuity of perception gifted him thanks to qigong and meditative practices provide him with a writer's voice that is simultaneously unpretentious, yet very wise. Andy was away from his comfortable life in Scotland long enough to make friends, fall in love, and experience very different ways of living in different social and environmental climes—and come to a deeper appreciation of how we can all help to save the world without feeling too guilty, resentful, or judgmental along the way. The first two thirds of "Take the Red Pill" feels like reading a friend's travel diary. Written in journal diary format, it's interspersed with short informational sections summarizing interconnected facts about economics, ecology, global warming, aboriginal thinking, spirituality, and philosophy. The factual sections are written in much the same journalistic style of writing as the personal diary entries, and are short and packed with interesting charts and graphics. The last third of the book delves more fully into the author's philosophical point of view, and provides the reader with a kind of Reader's Digest encyclopedia of how and why we can change our way of thinking. Cusick reassures readers that we need not fall into the trap of ecoparalysis, since inaction is not the solution now. Inner awareness is absolutely essential, as is the understanding that we are inextricably interconnected with everything "out there" in the world. I especially love the inclusion of the eastern concept of Sunyata, with the notion of reality being comprised of much more than thinking things must either be true or false--since actually, most things really fall into two other categories: not-true-not-false, and true-and-false. This is a book that encourages you to FEEL its intent while you think your way through its concepts, and it does an outstanding job of reminding readers of their heart, spirit, and physicality, and the importance of being authentic, integrated, and real. Highly recommended!